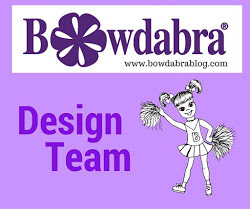 This post first appeared on Bowdabablog where I'm on the design team. I've gotten so many inquiries I though I would re-post! Cut a strip of Bowdabra Bow Wire 18" long and place into the Bowdabra, tucking ends under. Next, cut 5 strips of ribbon, 8 inches long. Group all five strips together, and on one side end, cut off at an angle to center. Repeat for opposite side to make a point. Repeat on the opposite end, so you have two pointed ends on each of the five strips. Take one strip and make a fold crease in the center and . . .
fold down sides from the crease. This is called a double down crease. Hold crease and place down into the Bowdabra. Repeat for each of the remaining four ribbon pieces, spreading each one apart. Scrunch down using the Bowdabra wand. While the bow is still in the Bowdabra, push the loose end of the bow wire into the loop at the other end, pulling tightly and gently removing. Take the wires around to the back, tying in a knot and cutting off excess. Wrap double end berries around the center for a lovely effect. Fluff and arrange the poinsettia bow. 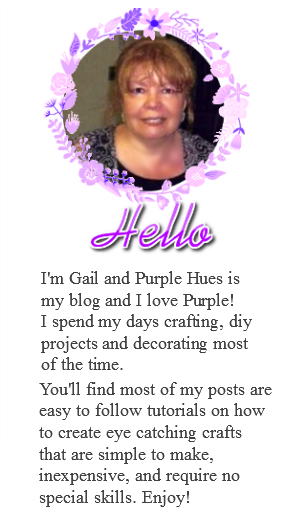 Attach to wrapped package or use in home décor or add a pin for clothing! Oh boy this makes me want to try a Bowdabra! Those are really fabulous and would surely impress someone that would receive them on the gift. 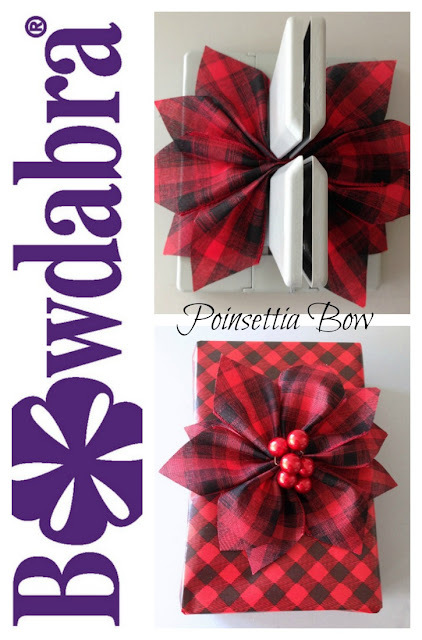 I love your poinsettia bow! 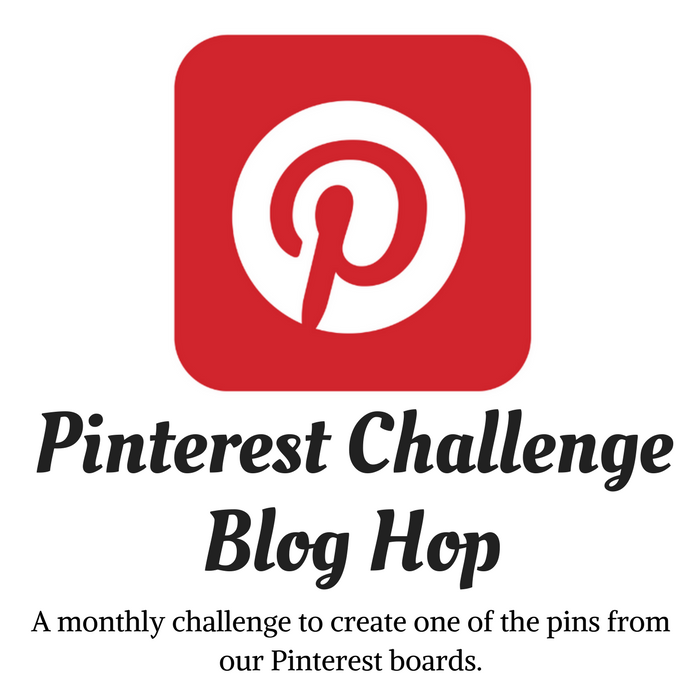 I'm going to use it as one of my features for the Happy Holiday link party!